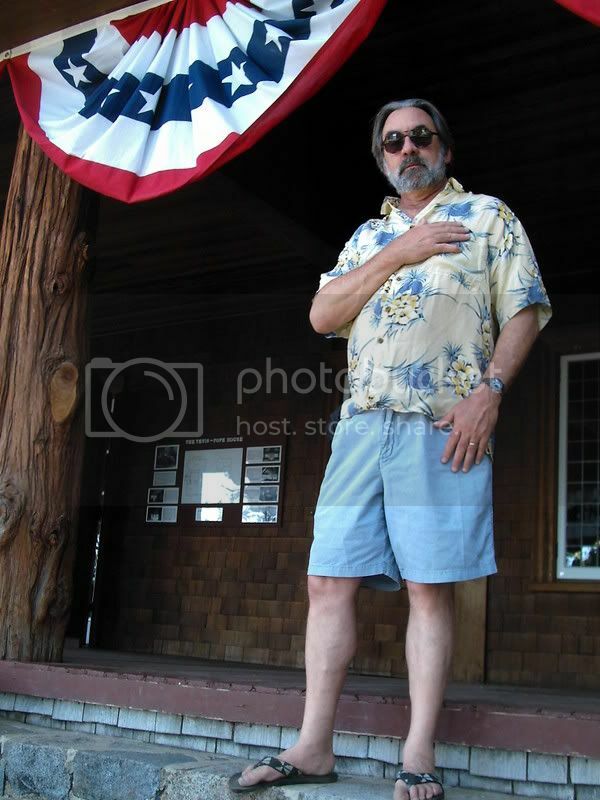 Captain Wayne-O on the Fourth of July? 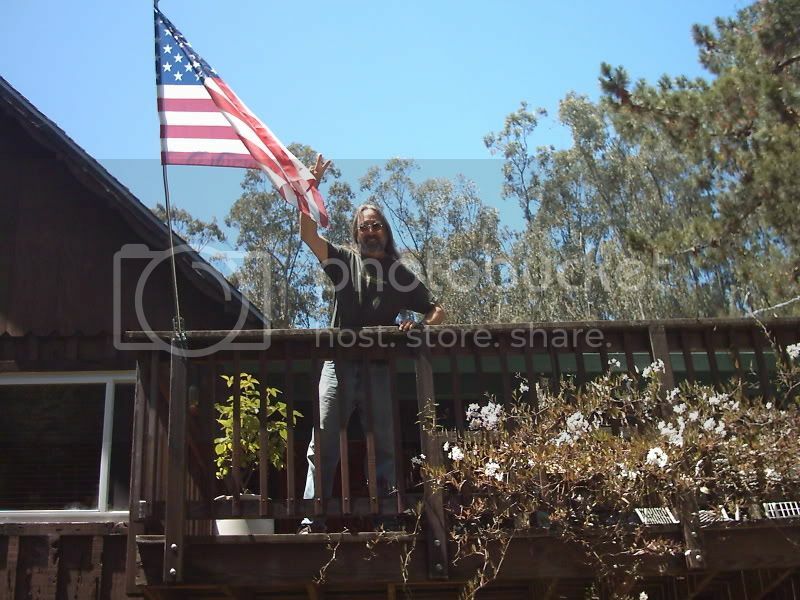 "much more dramatic without the green nightvisoin sky"
The suburbian defender of the American way Captain Wayne-O waves old glory from the front deck of Rancho Bozo del Norte in this third anual digital display of patriotic enthusiasm. It is the revolutionary spirit of a New America that must be kept alive. It is American to step back look at herself and correct her course as needed it sure is needed. It's time we join the modern western world; take care of our people's health and end the death penalty. 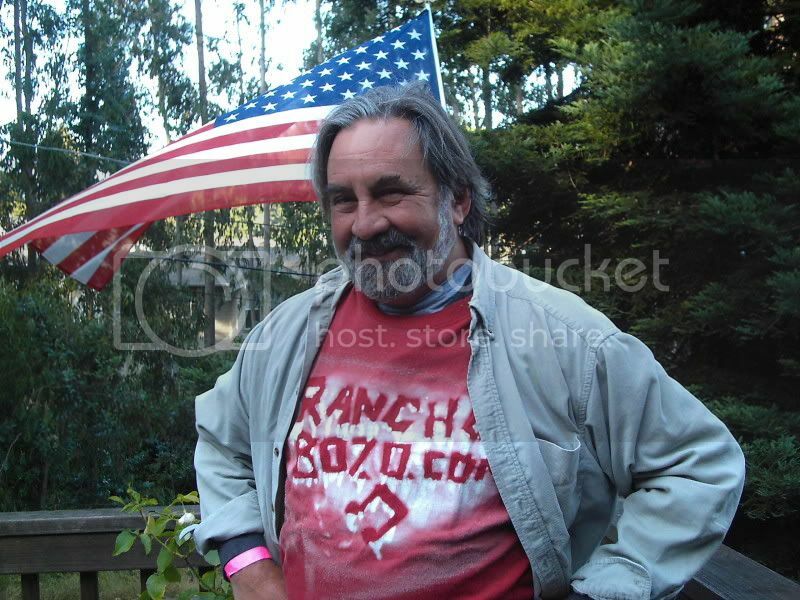 Was this the Fourth of July on the Rancho Bozo del Norte front deck? 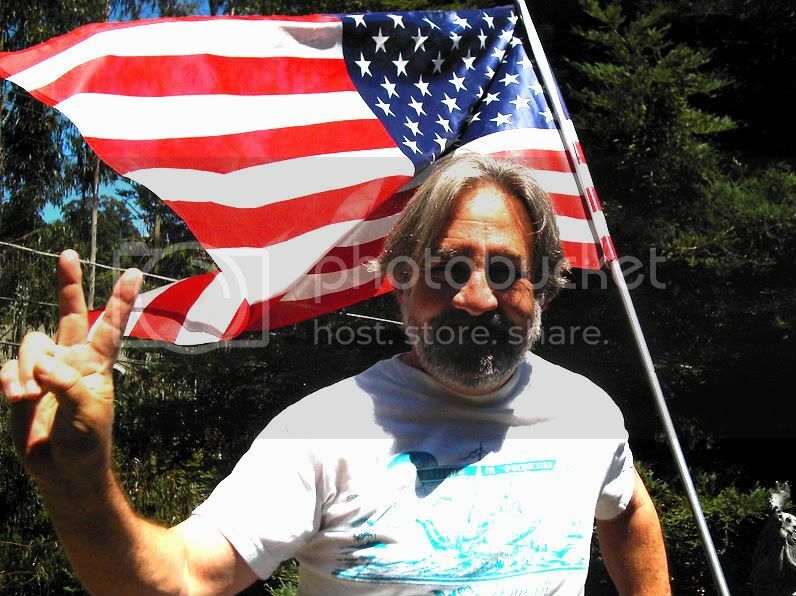 Is the flag blowing to the left or is it blowing to the right? Or do you need a weatherman to know which way the wind blows? Do you have to be a social conservative to have love for your country? Can you be proud of your country and ashamed of it's foreign policy? Some questions are better left unanswered especially in times like these. . . . . he looks like an aging hippy doesn't he? To place the aging hippy in context it is helpful to research the aged beat - follow the clicking trail . . . 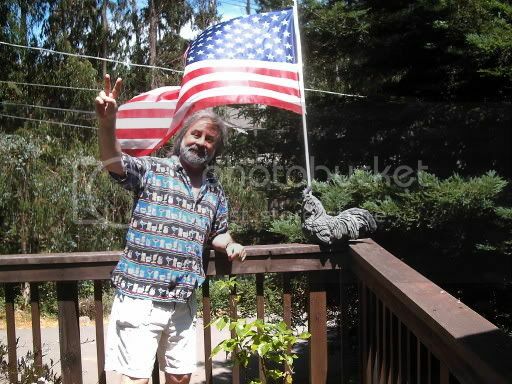 Note the American flag is made of a space age fabric developed by NASA and produced and manufactured in China. In the hearts and minds of America's Retail Super Powers and fellow duped American consumers nothing could be more patriotic. WHAT THIS COUNTRY NEEDS.